This site provides students and instructors with information about online learning and web-based distance education at OISE. With over 500 fully or partially online course offerings annually, OISE prides itself in the use of a range of collaborative technologies. 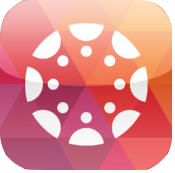 Welcome Canvas (Quercus) to the OISE online toolbox. What is a Sandbox Course? Search for "Learning Canvas 2017"
Canvas Community: The Canvas Community contains information about how Canvas works, tip and tricks and an area to suggest ideas. Marc talks about his approach to online teaching and learning. See what else Marc says..
OISE's online teaching/learning instructors and scholars share their experiences.